Shane (Garnet Canuck) PM'd me about putting together a thread about the various products we offer along with which colors they would work best with. I think this is a great idea because I often get asked, "Which sealant and wax do you recommend for my color G". Selecting the appropriate product can be overwhelming when there is so many options out there. This will give everyone a quick reference on what I feel works best on their paint based on my personal experience. I'm pulling the colors from the Infiniti website, so if I've missed any previous year colors, please let me know and I'll be sure to update them. If you notice, I pretty much broke it down into lighter colors and darker colors. Certain products will yield better results on specific types of paint, whether it's a flat color, metallic paint, light or dark. I'd like to emphasize that prep work (wash, clay, polish) is where 90% or more of the results are derived from, not the end product selection. However assuming the paint is prepped as best as possible, the sealant and waxes can enhance the finish even further. Some colors are tough to classify as well, like Platinum Graphite. I figure this is a pretty good starting point. I'll try to put together some pictures of details our customers performed and try to give a brief explanation of my thoughts on the products. Chemical Guys Jet Seal 109 Sealant - This is one of our newer sealants and is making waves in the auto detailing industry. 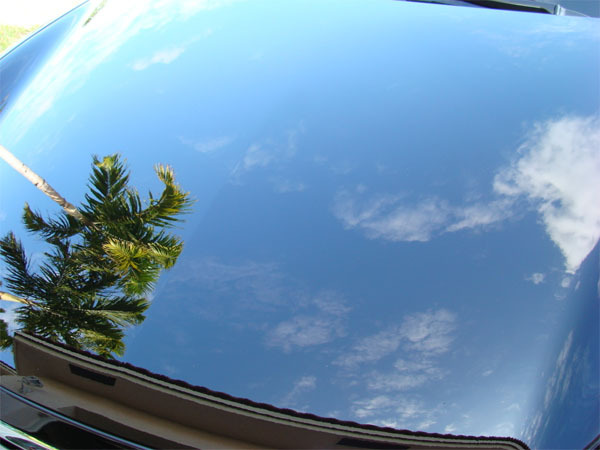 This product is very easy to apply and remove, offers some great durability and has a sharp, clear, reflective look to it. At $2.50 / ounce it's a little pricier than other sealants, but to many, the results are worth it. 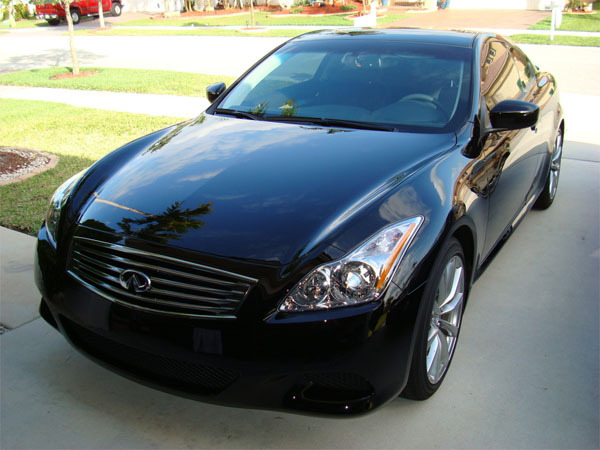 Here's a picture of Jet Seal 109 on a black G37 posted on MyG37.com. Nor Emerald Mist? I'll just go with 'works for dark colours' but it is a bit of a unique colour since it is quite metallic. Lol, i was just kidding, DG and platinum graphite a pretty similar, and I already have a pretty good understanding of sealant choices for colors. This list is great for noobs to the detailing world though, good job George and Shane! No worries, I just pulled the colors off of the Infiniti paint options from the website. I'll be tweaking and adding to the list over the weekend. Does anyone know specifically which paints were metallic or not? I can do some fine tuning based off of that as well, the website didn't really indicate anything. George, here is what I know of off the top of my head regarding the 07/08 Sedans. Some of the colors are the same for previous years as well. I like Collinite 845, OCW v2 and Duragloss 111 on Diamond graphite. Thanks for the helpful info George! +1 for the Natty's paste wax! 2 coats on my OB G35 and it SHINES. I'd like to use the CG Jetseal 109 sealant, but the waxes that you recommend to use with this sealant are quite expensive ($54/$69). Have you tried the Natty's blue over this sealant? At $19 and with everyone saying that it works great on black, I'd like to try this wax before having to move up to the more expensive CG waxes. My car came with a ton of hologramming courtesy of the dealer's not-so-great prep team. Since delivery, I got a bird bomb that caused some slight etching on the hood. Would the Menzerna PO106ff polisb be strong enough to handle these issues or would there be a stronger polish that you would recommend to handle these before finishing with the 106ff? I'd be applying the liquid products with a dual-action polisher that I received as a present a few years ago. It was from Griots Garage and uses a Porter Cable 97366 motor assembly with a velcro backing plate of just under 6" in diameter. I still have a few unused "red" wax pads and "orange" polishing pads from them. Could I use these with the sealants/polishes I mentioned or do you have some other recommendations on pads that would work better with this buffer and these products? The Menzerna PO106ff will work perfectly with the orange pad for some decent cutting pad for the heavier swirling, you can also switch to a white pad for a second coat with less cutting power or a finishing polish with the white pad. Use the finishing pads to apply a glaze or sealant. I just used the Natty's over the FMJ and was pleased with the results. It took the second coat to get me there, but the shine is great and the application and removal was fairly easy. I still prefer the P21S, but as a lot of others have said, it's durability is a weakness.